Get your own site on the Koordinates platform, and realise the true potential of your geospatial data. Start your no-obligation 30 day trial. With your own branded site on the Koordinates platform, you can publish open data, share private data, and build new geospatial applications using our out-of-the-box APIs. And with our transparent pricing, you only pay for what you use — which means you can start small and easily scale. 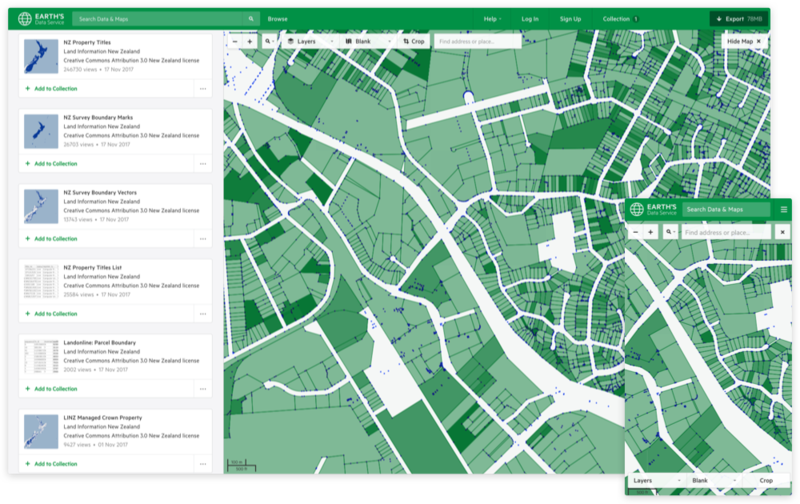 With multiple import options—from manual uploads of single datasets to automated imports from a range of data sources—get your geospatial data to more users, more easily. Privately share with staff and collaborators using granular permissions controls, and get one source of truth for your data. Your Koordinates site automatically creates query APIs against every data layer, allowing you to more easily create new geospatial applications.